KeContact P30 allows a variety of set-up options. It can be mounted either on the wall or on a dhigh-quality stainless steel pedestal. 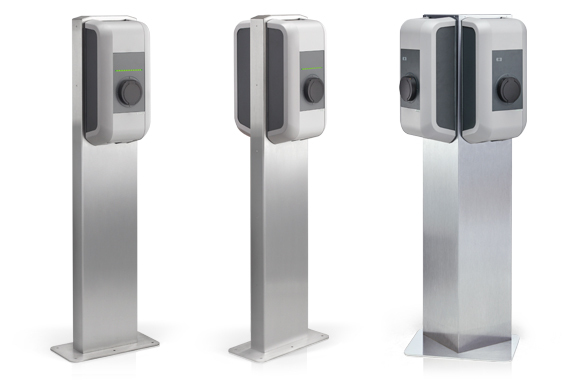 The pedestal is available in three versions: the standard design for single mounting, for double mounting (in opposite arrangement), or in a triangular shape for double mounting. The installation of two charging stations on one pedestal is ideal if there are two juxtaposed parking spaces.